Every month, Microsoft offers several Xbox games to Xbox Live Gold subscribers at no additional cost. Based on the hit animated Adventure Time series, Pirates of the Echiridion follows beloved heroes Jake and Finn as they sail the open seas to rescue the submerged Land of Ooo. Adventure Time: Pirates of the Enchiridion launched on Xbox One in July 2018 and regularly costs $39.99 CAD on the Microsoft Store. This zany, action-packed shooter lets you attack as plants or defend as zombies in the 24-player Herbal Assault mode or team up with three other players in co-operative play. Plants vs. Zombies Garden Warfare 2 launched on Xbox One in February 2016 and regularly costs $25.99 on the Microsoft Store. Set before the events of Star Wars: Episode III — Revenge of the Sith, Republic Commando follows the eponymous squad of elite Clone troopers as they fight for the Republic during the Clone Wars. 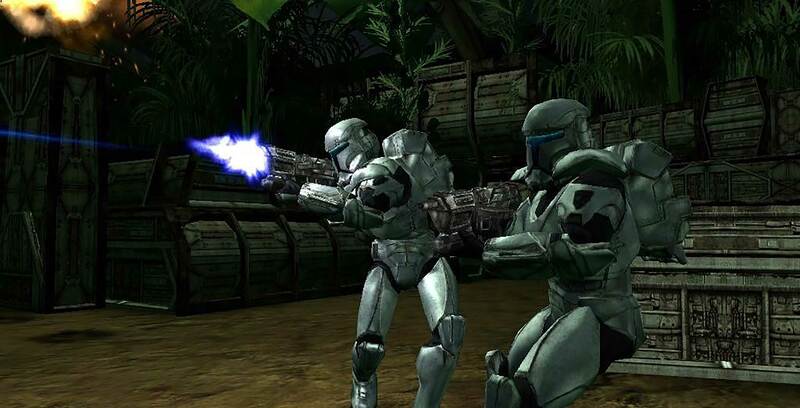 Star Wars Republic Commando launched on the original Xbox in February 2005. The game became playable on Xbox One through backward compatibility in April 2018 and regularly costs $9.99 on the Microsoft Store. Metal Gear Rising takes place four years after Metal Gear Solid 4: Guns of the Patriots and puts players in the shoes of cyborg ninja Raiden, who must now fight against a military company looking to start a new world war. Metal Gear Rising: Revengeance launched on Xbox 360 in February 2013. The game became playable on Xbox One via backward compatibility in August 2017 and regularly costs $19.99 on the Microsoft Store. In the meantime, check out February 2019’s free Xbox Games with Gold titles here. PlayStation gamers can find March’s lineup of free PlayStation Plus games here.